The Private Pilot’s Licence (PPL) usually takes a minimum of 45 hours of training. With The PPL Companion, you have a guide to help you along the way to help you progress. 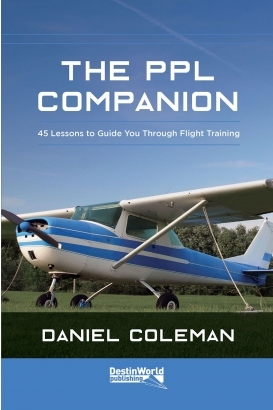 Unlike other books on the market, this is less about the author’s personal journey and more about the research, actions and decisions one should make as they progress through their flight training, covering why one would learn to fly; how to find a club; what to expect on their first lesson; and other non-technical titbits to prepare for their journey. Further chapters look at dealing with the social side of flying, financial aspects and anxieties of flight training as well as other often overlooked variables such as widening networks, visiting the control tower and taking a look under the engine cowling for greater understanding and so on.